Adopting a conflict of interest policy is an important but incomplete step towards uncovering and avoiding impermissible conflicts. To avoid legal liability and reputational harm, the policy must be taken off the shelf and incorporated into organizational decision-making. Many nonprofits have work to do if their policies are going to do more than collect dust. For instance, according to a BoardSource survey, fifteen percent of responding nonprofit organizations do not have their board members sign an annual disclosure statement. The following six steps show that making your policy effective does not need to be difficult. Step 1: Review. Have the board refamiliarize itself with the organization’s current conflicts of interest policy and annual disclosure statement. If the policy was adopted from a model, consider whether it needs any adjustments based on the type of work the organization is involved it, the nature of the organization, and other particular circumstances. Review the organization’s history for clues to potential and actual conflicts of interest. Determine if any adjustments need to be made to bring it in line with your state’s law, including adjustments to the law made since the policy’s adoption. Additionally, discuss the following specific points. What is the goal? Make sure that everyone understands how the policy contributes to an organization that is governed well, abides by high ethical standards, and complies with the law. Look to see where in the policy the purpose is articulated. What is a conflict? Go through the general definition of a conflict as well as specific situations. Talk through conflicts that could conceivably arise in your organization, including the types of transactions and the identity of who is involved. Sometimes, board members or employees have too narrow of an understanding of where their interests could be inconsistent with the best interest of the organization. Everyone must share a suitably inclusive understanding of what constitutes a conflict if the disclosure process is going to work effectively. What is the process? Walk through the procedure for identifying and dealing with potential and actual conflicts. Seek to understand how the process is meant to work and whether the steps are sufficient for making disinterested decisions. Also discuss how violations of the policy will be handled. Now that you’ve walked through the policy, don’t forget to review the annual disclosure form. What needs to be disclosed? Who needs to sign and return the form? When should it be submitted? Who reviews and acts on the disclosures? Establish a annual date for reviewing the conflicts policy review and submitting disclosure statements. Step 2: Set a date. Establish a set time of the year for an annual review of the policy and the submission of annual disclosure forms. If the time of year is already set forth in the policy, use that time. 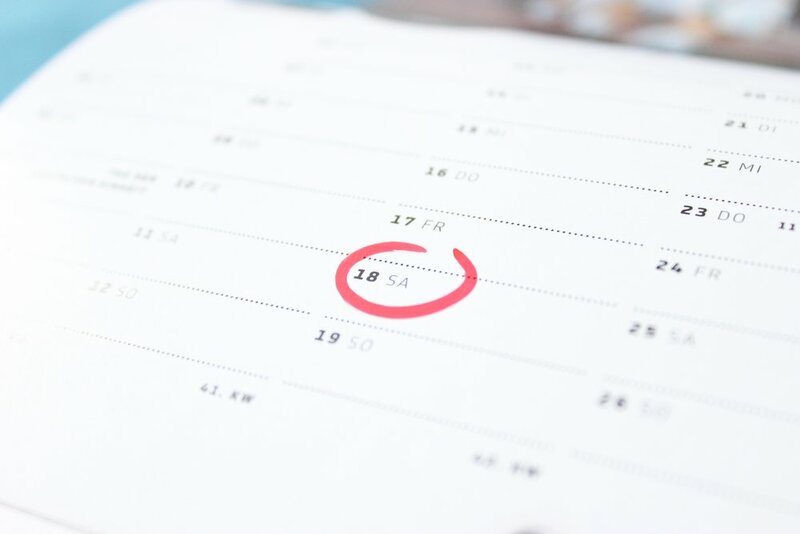 Put the time on the board calendar as a recurring annual event, so that it isn’t forgotten. For new board members, include the review of the conflicts of interest policy into the orientation session or onboarding process. Additionally or alternatively, before any major transaction or similar issue comes up for discussion, the board or committee chair could request that members consider and disclose any potential conflicts. With either practice, the idea is to incorporate disclosures as a part of the regular and ongoing work of the board. Most times, it will take only a few seconds because no potential conflicts will be identified, but the overall impact is that conflict disclosure will become part of the regular work of the board. Step 4: Express thanks. When someone raises a potential conflict of interest, that’s a good moment to thank them for their candor. The disclosure should be welcomed and the person making the disclosure should feel that they did the right thing, not that they are in the wrong simply because they found themselves in a conflicted situation. Step 5: Know the process and follow it. After disclosure, the process laid out in the policy needs to be followed in both letter and spirit. Typically, this involves four steps. Step 6: Correct violations. The board needs to be prepared to take appropriate corrective and disciplinary action if the policy is violated. If not, the failure to enforce the policy will provide a clear signal that undisclosed conflicts are tolerated, undermining all of your efforts. Contact John M. Bradley for more conflict of interest guidance, questions, or individualized help for your organization. John is the Principal of Broadfield Insight, where he provides governance education, advising, and consulting to boards of directors and nonprofit leaders. He can be reached at john@broadfieldinsight.com and at www.broadfieldinsight.com. Be the first to get the latest blog posts by subscribing. BoardSource, Leading With Intent: 2017 National Index of Nonprofit Board Practices, 31, at https://leadingwithintent.org/ (last visited October 22, 2018). This article (and any materials available on this web site) are for informational purposes only and not for the purpose of providing legal advice. State laws vary. You should contact your attorney to obtain advice with respect to any particular issue.